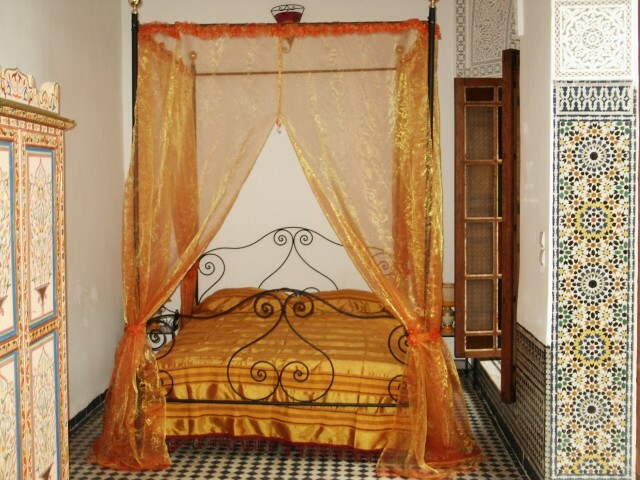 You will arrive after small a 4 minutes walk in a Moroccan traditional house, a flight d' staircases leads you to the patio where the songs of the birds and the fountain will charm you at the time of your breakfasts. 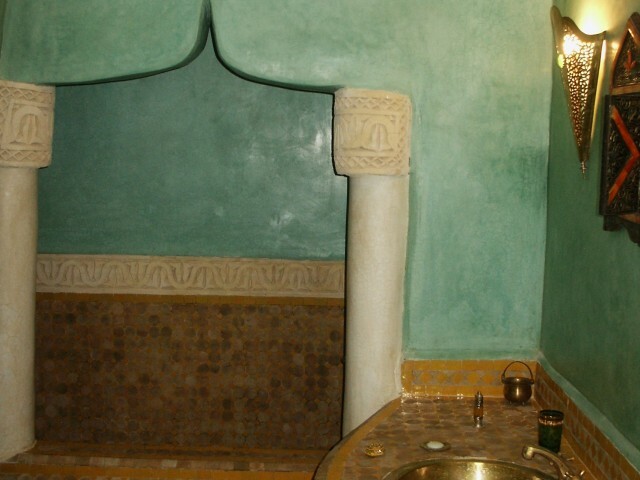 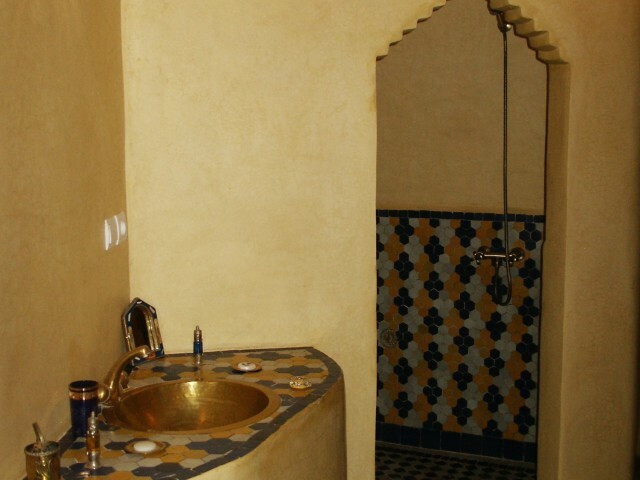 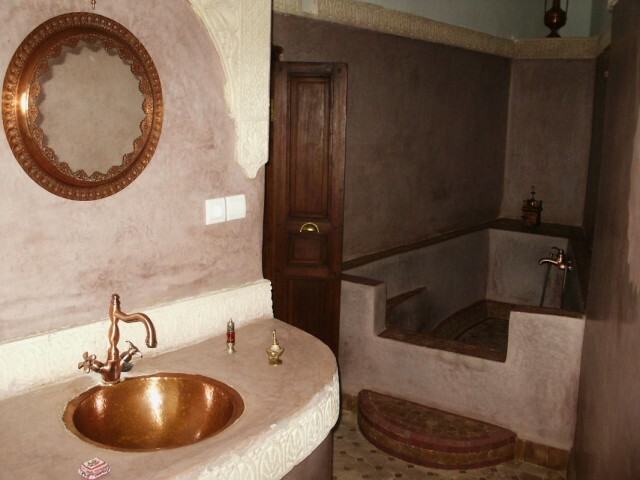 You will be able to make a pause in the bartal, place of the pasha, richly decorated out of carved plaster. 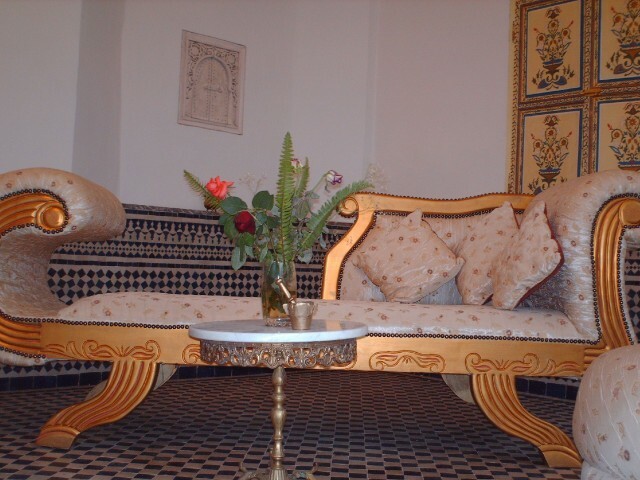 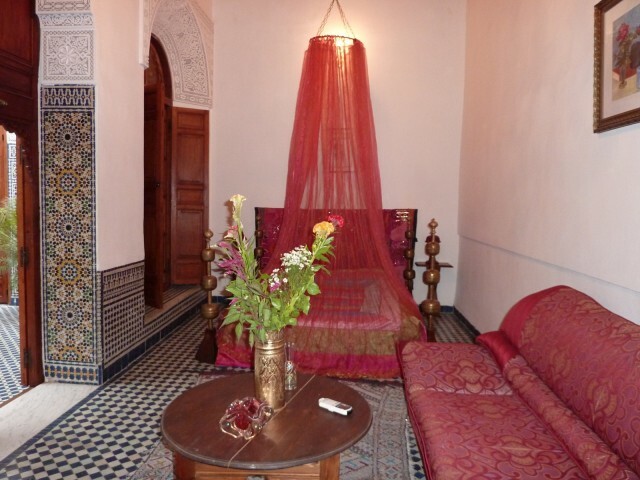 A large air-conditioned living room is at your disposal for the reading, to look at television or why not play failures or initiate you with the Moroccan musical instruments. 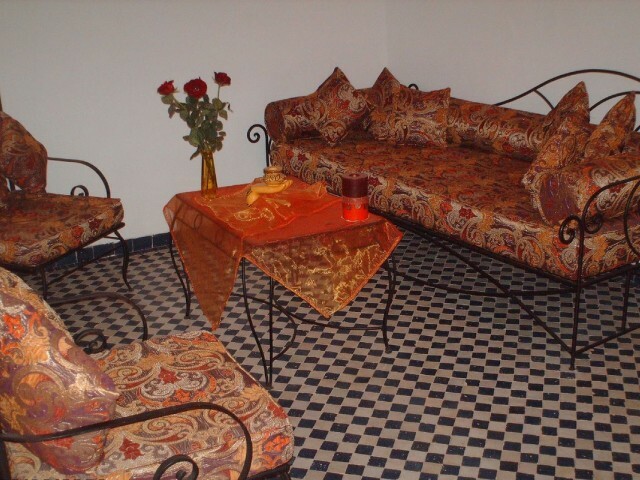 Two rooms give on this patio. 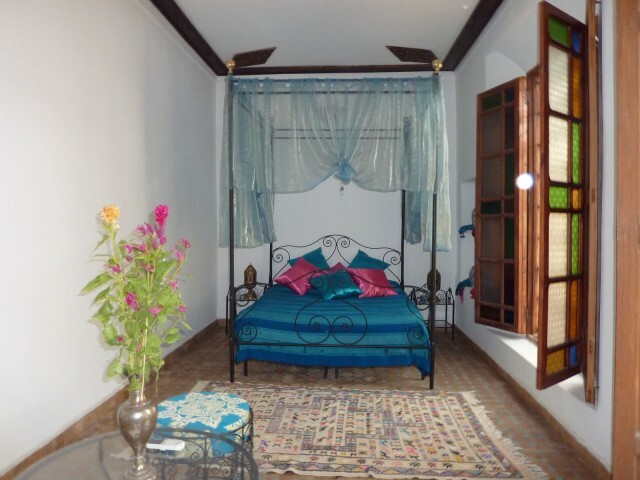 A rise d' staircases easy d' access, brings you on the first floor where three rooms are located including two with gallery. 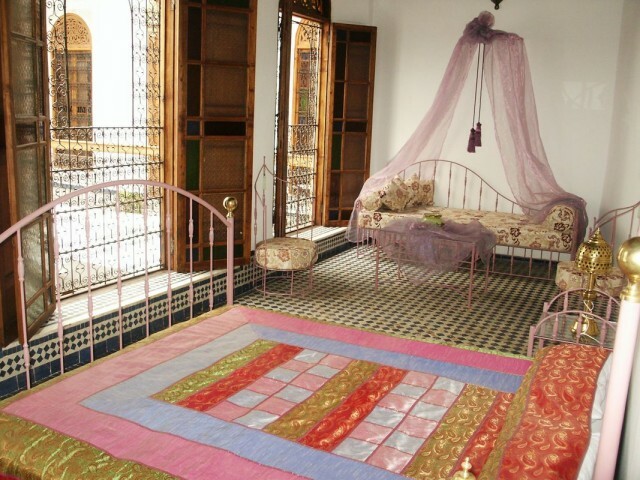 On the second floor, a terrace of which the sight on the médina is splendid, there time n' exist more, the concern either, only the dream is allowed. 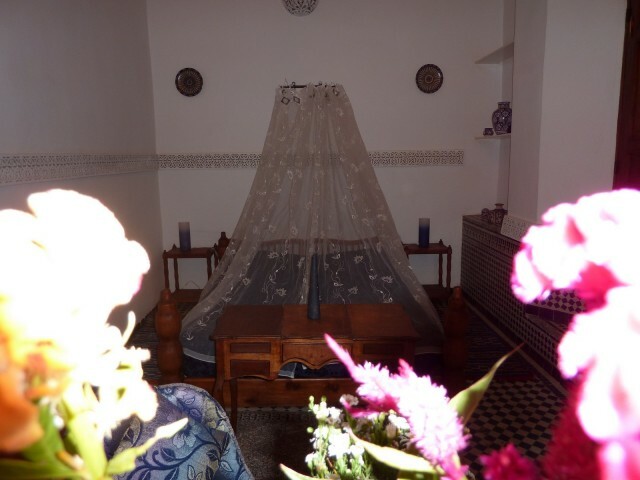 A very clear room has an opening on this terrace with a small privative external living room. 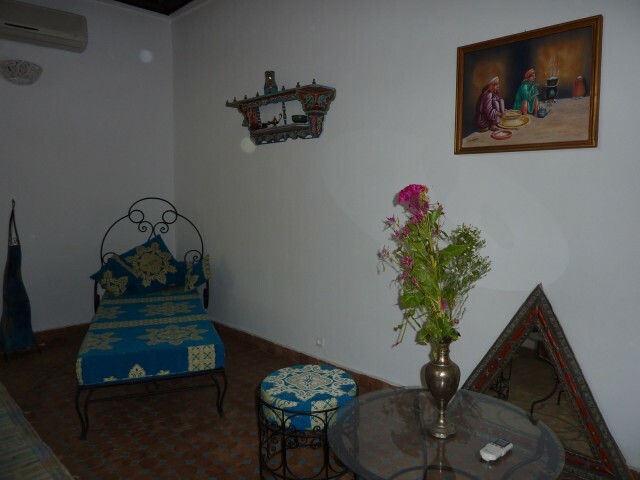 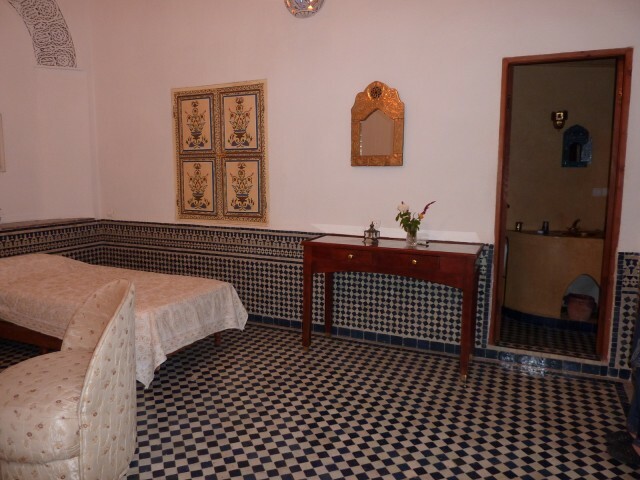 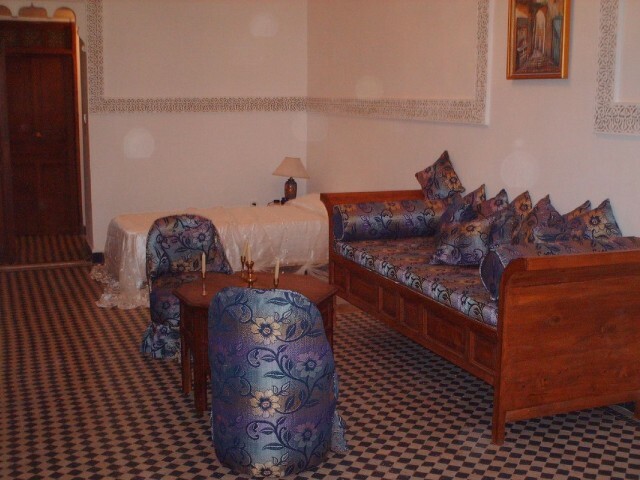 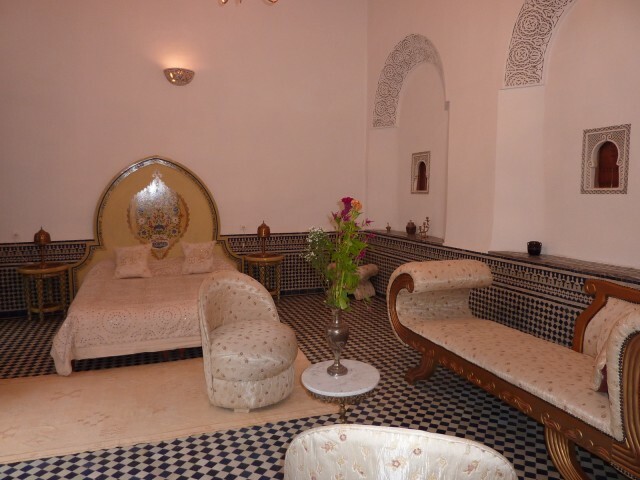 Very large room located on the first floor with private gallery, equipped with a great bed in cedar, a corner living room which can be used as auxiliary bed, with a Moroccan bathroom traditional in tadelakt. 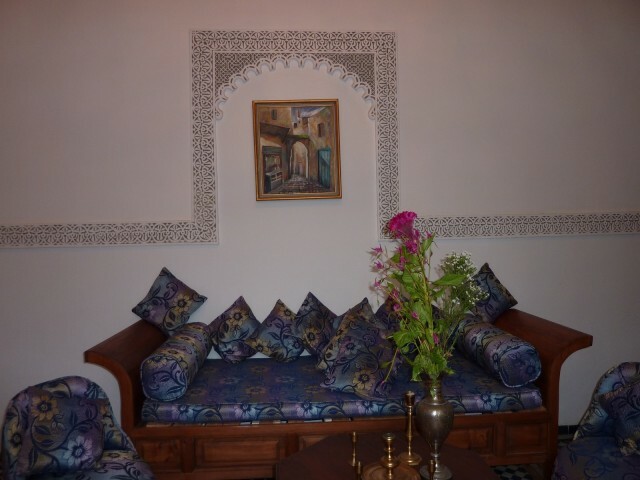 Cook refined which will charm the finest gourmets, knowledge to use spices advisedly is an art where our chief excels. 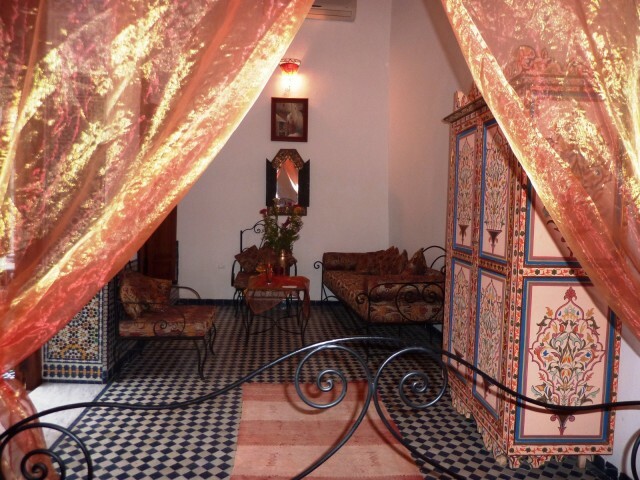 The Moroccan kitchen or the French kitchen of Moroccan inspiration will make you discover the subtlety of the aromas, while exhaustant the taste of the meats, fruit and vegetables fresh of the market of the day.